There are 4.8 billion unique mobile subscribers today, a 65 percent penetration of the world's population; by 2020 these numbers are expected to grow to 5.7 billion and 73 percent, respectively. In 2016, the mobile industry was US$3.3 trillion, 4.4 percent of total world GDP; by 2020 those corresponding numbers are expected to be US$4.2 trillion and 4.9 percent. In developed countries we have several ways to pay for a franchise's products or services: credit and debit cards, mobile pay apps like Apple Pay, and we can always use cash. In many developing countries, payments are generally by cash as cards are not widely available. In a world of 7 billion people and 5 billion mobile phones, just 2 billion people have a bank account. 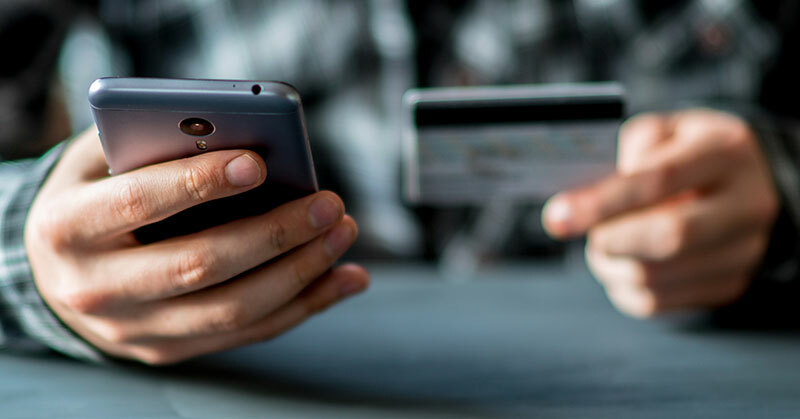 The concept of mobile phone payments is becoming a reality in many developing countries, which is leading to higher sales at franchise businesses that typically arrange for a mobile app or other mobile-related payment type. From Apple Pay to proprietary apps, thousands of franchisees in the U.S. are moving into the mobile payments space, says John Gordon of San Diego-based Pacific Management Consulting Group. Of Taco Bell's approximately 6,000 U.S. locations, more than 5,700 now offer mobile pay options. Smoothie King recently implemented an iPad-based POS system in all 750-plus of its locations. Also in the U.S., Popeyes Louisiana Kitchen is putting mobile pay options on its counters. Mobile device ownership across the world far exceeds that of any other device or platform and is increasing rapidly. With the rapid adoption of smartphones over the past decade, improvement in telecom connectivity, and declining handset prices, mobile has become the primary device around which our daily lives revolve and is shaping how consumers search, purchase, and pay for goods and services. As commerce is moving to mobile, so are payments. The number of contactless mobile payment made with mobile handsets reached 148 million globally in 2015, according to Juniper Research. Samsung and Apple will account for approximately 70 per cent of new customers. According to Franchise Payments Network, wireless payment processing is great for 1) any business or franchise that offers delivery; 2) service or mobile businesses; 3) all businesses that accept credit cards; and/or 4) anyone who wants to save on interchange rates by taking cards in person instead of over the phone or Internet. Mobile payment also enables stores to ring up customers right on the sales floor with no checkout counter or lines. Apple Stores, for example, have roaming associates who ring up the sale quickly on the spot with a credit card or Apple Pay from a handheld device. In sub-Saharan Africa, more than 60 percent of individuals now have access to a mobile phone. Kenya leads the world in mobile money, with more active accounts than adults in its population. The total value of transactions made by mobile phone in 2013 was around $24 billion, more than half the country's GDP. As mobile phones have become more widely available, mobile payment transfers have helped reach the "unbanked." In at least eight countries, including Congo and Zimbabwe, more people have registered mobile money accounts than traditional bank accounts. Mobile payments also are booming in China, with total transaction value topping Rmb38 trillion (US$5.5 trillion) in 2016, triple the previous year, according to Beijing-based iResearch. By comparison, the U.S. mobile payments market increased by 39 percent to $112 billion last year, according to Forrester. In places like India, Indonesia, and Brazil, it's easy to buy an Android phone for as little as $25--even less for older, secondhand (or thirdhand) refurbished phones. But there's likely to be little onboard storage, and the pay-as-you-go data plan is too precious to waste on apps, especially those that send and receive data even when you aren't using them. Browsers are popular again, not just because typing a URL has become simpler, but also because they work harder to compensate for the nature of wireless access in emerging markets. Smartphone penetration in India was estimated to be at 239 million in 2015 (17 percent of the population), and is expected to grow to 702 million by 2020 (55 percent of population). According to the Reserve Bank of India, the country of 1.3 billion people has fewer than 23 million credit cards and just 640 million debit cards--and 88 percent of those debit cards are used only for getting cash out of ATMs. India averages just 6.7 electronic payment transactions per person, compared with 249 in Australia, 201 in the U.K., and 14 in China. As for those paying by card, in a country with 1.3 billion people there are only 1.2 million machines that can accept them. On November 8, 2016, Prime Minister Narendra Modi went on TV at 8 p.m. and, in an unscheduled national address, announced that "the 500 and 1,000 currency notes presently in use will no longer be legal tender from midnight tonight." (The notes were equal to about US$7.50 and US$15.) The abrupt move left Indians short of ready cash. I was in India the first week of December and we were unable to get small bills anywhere to tip drivers, etc. There were very long lines at ATMs and a person was able to withdraw only a few thousand rupees at a time. Before this jolt, India was a 90 percent cash economy. Homes and even large buildings were paid for in cash--not cards, cash money. The government wanted to change the cash economy so that corruption would decrease and Indians would begin to pay taxes (6 percent of Indians paid taxes last year; one result is very poor infrastructure). You had just a few weeks to take your 500 and 1,000 rupee notes to the bank to exchange them for new bills or your old money would be worthless. Unable to pay for daily transactions in cash, millions of Indians have now gone digital, as have firms and small traders worried about a huge loss of business. Moolchand Parantha is just one example. The famous street food stall in New Delhi had only ever accepted cash for its Indian breads. But it signed up for Paytm, an Indian mobile wallet app, just hours after Modi dropped his 8 p.m. bombshell. Now about 20 percent of its daily takings come from the app. Payments-related technological innovations are changing the way Indian consumers pay. The recent demonetization drive by the government gave impetus to adoption of e-wallets like Paytm overnight. One of the greatest benefits of demonetization has been the fillip it has given to digital transactions: the cash-to-cards ratio saw a complete reversal. This quick adoption of digital payment methods has played out across the organized retail sector. In the major cities, it would have taken people from different socioeconomic classifications three to five years to adopt digital payment methods. Demonetization fast-tracked the cash-to-digital transformation to a matter of months. Around 12 million additional customers were added in a single week to the number of Indians using "digital wallets." This opened more avenues for organized retail players as people explored alternatives such as shops in malls or other organized retailers to purchase basic items, which led to increased footfalls across the sector. The government unleashed a formidable competitor to e-wallets by building the United Payments Interface [a payment system that allows money transfer between any two bank accounts or from a bank account to a merchant by using a smartphone] and an application that facilitates payments in an easy and quick manner. For people not having a plastic card or smartphone, the government is enabling payment through India's Aadhaar, the world's largest national identification number program, based on demographic and biometric identification through which seamless transactions are possible. Paytm founder and CEO Vijay Shekhar Sharma says his business was gaining tens of thousands of new users a day before the rupee note shortage. "Now we're signing up half a million customers a day," he told CNN. Since the move was announced, he says Paytm has added 10 million users, growing its customer base by 7 percent in less than a month to 160 million. "In urban India, you have places where you can use cards, but in rural India you don't have so many places," Sharma said. "So mobile is the only way beyond currency." But for a country where more than 90 percent of daily transactions take place in cash, even for big ticket items such as jewelry and real estate, switching to a digital economy will be easier said than done. In-store smartphone purchases worldwide were predicted to increase 1,000 percent in 2015, according a report by Deloitte Global, and its acceptance continues to grow. "Smartphones are already being used to check balances, transfer funds, and transact online, but they have not reached a 'mobile wallet' status globally," said Jolyon Barker of Deloitte Global. The world of mobile payments is here--everywhere. Franchisors must adopt this payment tool or lose sales. Your competition is doing it! William Edwards, CEO of Edwards Global Services, Inc., has 44 years of international business experience. He has lived in 7 countries, worked on projects in more than 60, and has advised more than 50 U.S. companies on international development. He has been an international master licensee and a franchisor executive. Contact him at 949-375-1896, bedwards@edwardsglobal.com, or read his blog at edwardsglobal.com/blog.